Our charter agency offers yacht for charter all over the world. Our on-line resource to a great degree simplified yacht charter procedure both for professional yachtsmen, and for those who launch their first yacht trip. Now yacht rental is as convenient, easy and simple as car rental. Our clients are offered the first on-line resource related to charter of sailing and motor yachts and catamarans created on the basis of an updated and expanded version of YachtBooker®. Yacht charter offers from various charter companies are appended to the database containing information about more than 9,000 marine vessels all over the world that is constantly being updated. 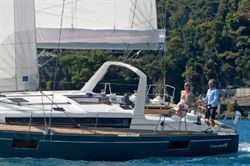 Choice of sailing and motor yachts and catamarans for hire is continually increasing. A convenient and user friendly interface allows perfecting yacht charter easily and quickly wherever you are. It is enough to enter search criteria (region, country, type and size of boat, travel dates, etc.) and choose a suitable vessel from the list generated by the search engine. Yachts marked with a green B are available on-line. You can easily charter a yacht via the web-site and pay using the documents generated by the system. 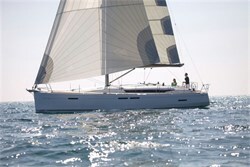 Some of the yachts are not yet available for on-line reservation and payment via the web-site. For example, Thailand charter companies have not made their yachts available for on-line reservation yet. Via the web-site you will receive a full description of yacht and we will coordinate with the yacht owner whether such yacht is available for charter on the dates you are interested in, draft charter agreement and yacht charter invoice. 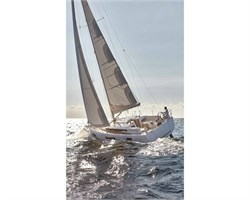 Yachts of Finnish charter companies are not yet available for on-line charter. You can charter a yacht in Finland if you send us a request by e-mail or use a feedback form. It is possible to charter a yacht with a skipper, a crewed yacht or make a bareboat charter. In the latter case you are required to have documents confirming that you have a right to navigate a vessel independently. Our partners are large charter companies and direct owners of yachts and catamarans. All of them are regularly checked and have quality certificates issued by the international rating system of the evaluation of charter companies, Yachtcheck®. Best Greek Yacht Charter Company of the year 2016. From 25 till 28 November we organize our first Black Friday. It will be just four days to take advantage of special offers, which we have prepared for those, who is addicted to the sea.